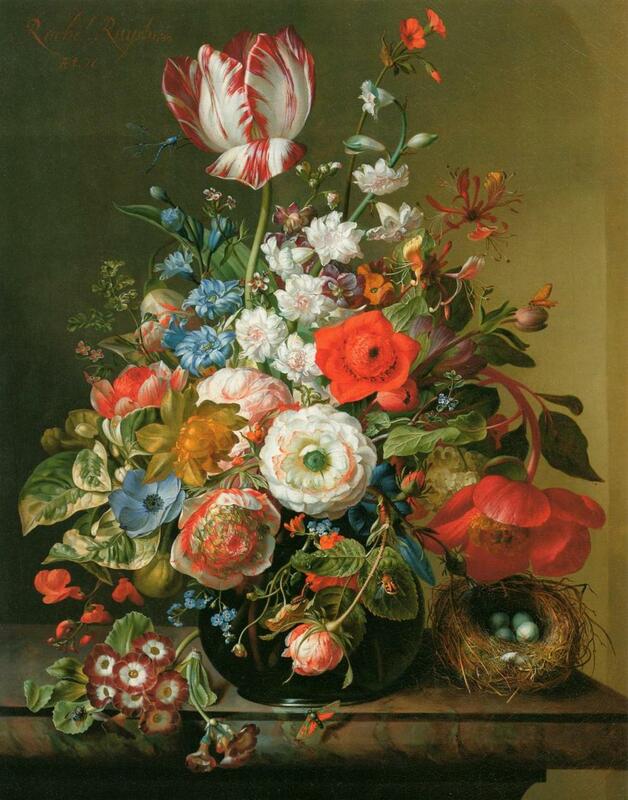 Infinite Art Tournament: The Infinite Art Tournament, Round One: van Ruisdael v. Ruysch! The Infinite Art Tournament, Round One: van Ruisdael v. Ruysch! 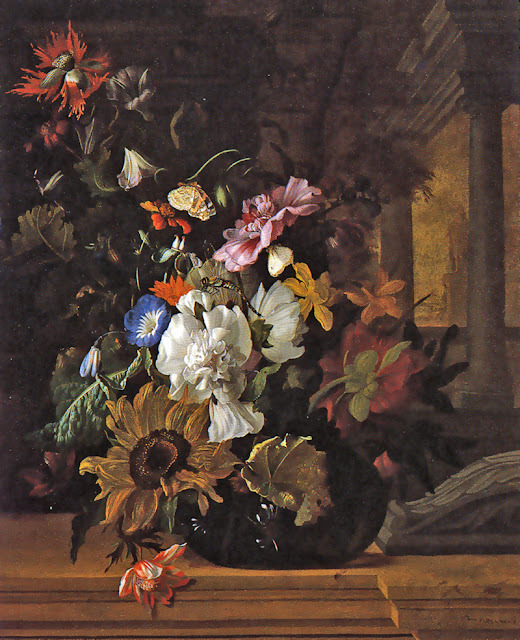 Ruysch. I'm a sucker for a good still life. 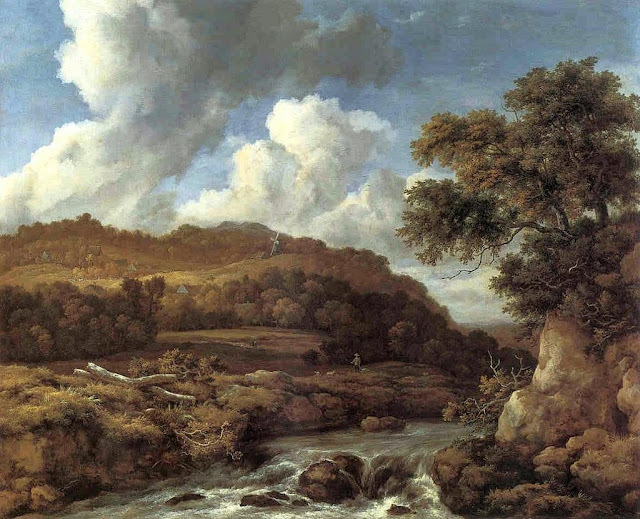 Ruisdael. I'm a sucker for Dutch landscapes. I got a tie in this one. I need people in my artwork. Jesus, that must sound dumb. Susan, who must not need people in her artwork, says "Both are so pleasant that it's a tie for me, but I'll vote for Ruysch." Huh, almost contemporary Dutch landscapes vs. Dutch flowers? Usually I'd go for landscapes over flowers, but those are some nice flowers. And hey, a bird's nest! Ruysch! Tough call for me also, but I'll go with Ruysch. I'm feeling kind of dumb in this one too. 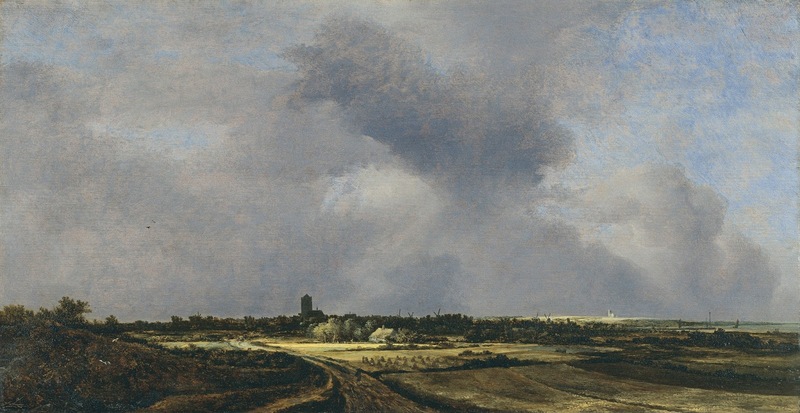 I'm going to say van Ruisdael, but I think I'm voting for landscapes over still lives. Ruysch, but not with much passion.